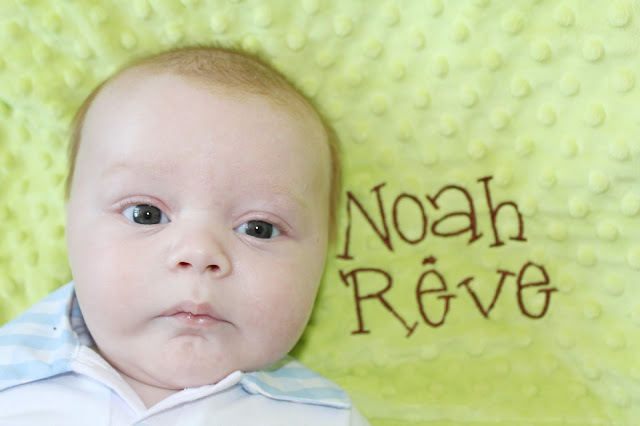 Since Noah was born we've discovered some really lovely companies that we hadn't previously been aware of, and today I'd like to introduce them to you along with the new baby products they produce that we've been loving. First up is The Cuddle Company who specialise in producing beautiful blankets and taggiez for babies & toddlers. We were gifted this beautiful cuddly blanket for Noah personalised with his name which I think is just adorable! 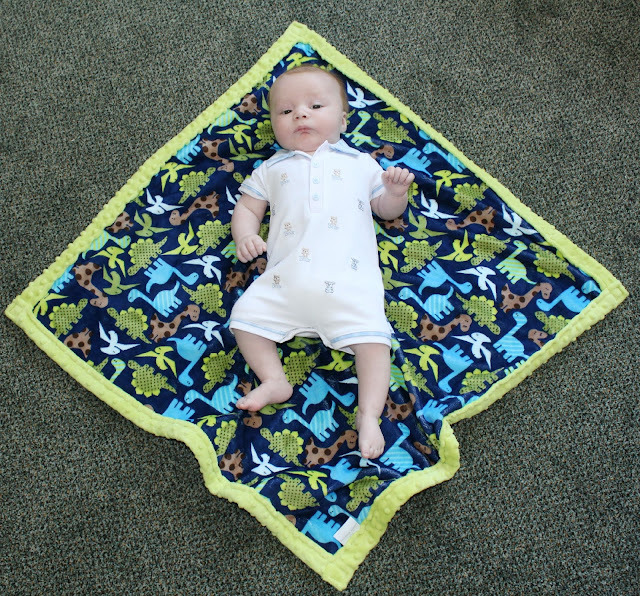 The blanket is reversible - one side is lime green fleecy "popcorn" style textured material and the reverse is a brushed material featuring a funky dinosaur pattern on a navy blue background - the colours and styles compliment each other well, and the material is so soft! You can have any blanket of Taggie from The Cuddle Company personalised with the childs name which I think adds a lovely element to it and also takes it from being just a simple blanket to an adorable photo prop! I LOVE using ours in shots of Noah as I think there is something so very sweet about posing him next to his name - the blankets would perfect for use in birth or name announcement photos adding a real fun touch! 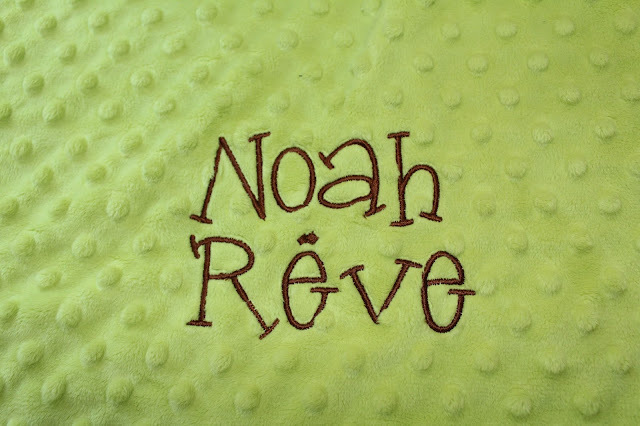 The stitching of the name is flawless, and you can choose the style of font you want to use - you can even select the material for each side, or make a patchwork style blanket with your choice of material. Little Butterfly London Organic are a range of baby skincare products that I had never previously come across but since discovering them shortly after Noah's arrival I am completely sold. The packaging alone is just beautiful - I realise this may sound rather silly but I just love to look at them on my bedroom dresser as they are so very pretty! Hypoallergenic, organic and dermatoligist approved - The Little Butterfly London range is a wonderful addition to any new babies bathtime/nappy changing routine - it is especially designed for newborn and eczema prone skin so I often use the Dewdrops at Dawn moisturising lotion on my toddler and it helps soo much with the dry skin he suffers with on his back - we love the Soft As Moonlight nappy change cream and Bubbles In The Breeze top to toe wash too. 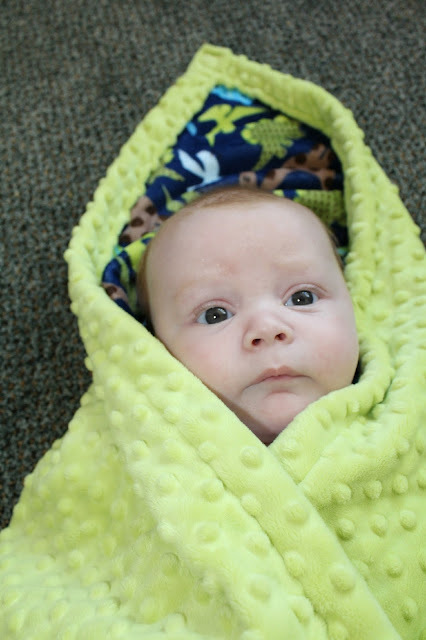 The Gro Hush is a portable white noise baby calmer. 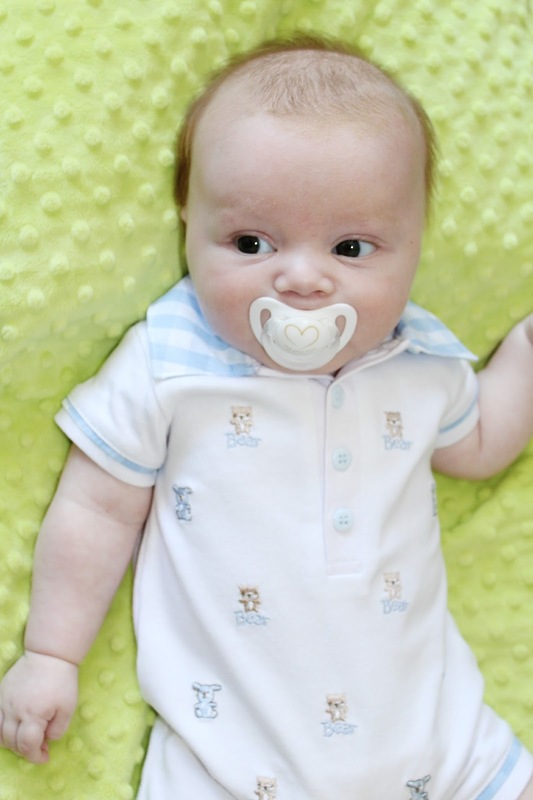 It plays soothing white noise directly to your baby helping to keep them relaxed and happy. The device offers a choice of three soothing white noise sounds to choose from--heart-beat, ocean waves or rain falling on a tin roof, which are all set at a safe volume. The Gro Hush offers safe white noise which allows your baby to be soothed and calmed without disturbing others around you, so only your baby will hear it. We have always found white noise to be so helpful with both Tyne & Noah and still use their Cloud B Sleep Sheeps each night, even now Tyne is 2 it helps him to fall asleep and keep any outside noises from disturbing him - and so we fully appreciate how invaluable white noise devices can be. What items did you find useful with a newborn? As always, I'd love to hear from you! Ahh Noah is gorgeous! That cuddle blanket is lovely too! Little Butterfly London Organic have some gorgeous items - great ieas to give a new mum! 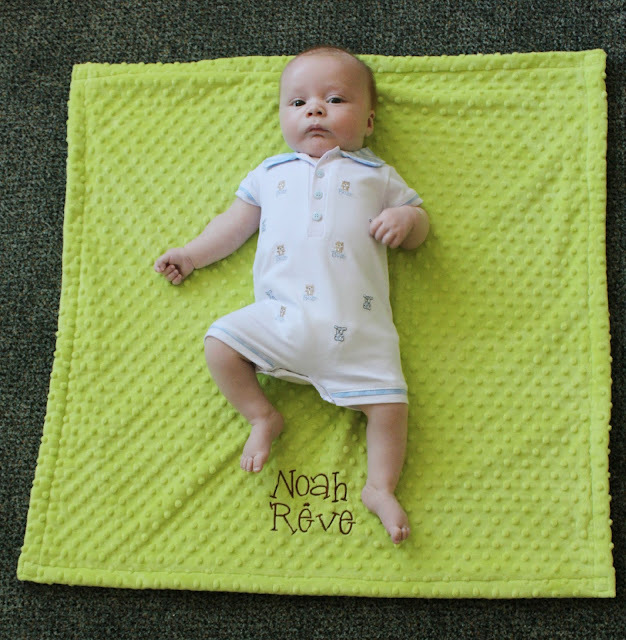 The blankets are lovely especially as they are personalised. I love that baby blanket! gorgeous blanket! and what a cutie Noah is! Noah is a cutey! I'm pleased to hear you found the Gro Hush baby calmer decent. I've just bought one so that puts my mind at ease.